Walton Charity has agreed to support this new group with a Community Grant, from the CSE Fund (legacy funding from Carers Support Elmbridge) which will enable Carers of Elmbridge to provide 2 years worth of activities for these carers who have found themselves increasingly socially isolated. 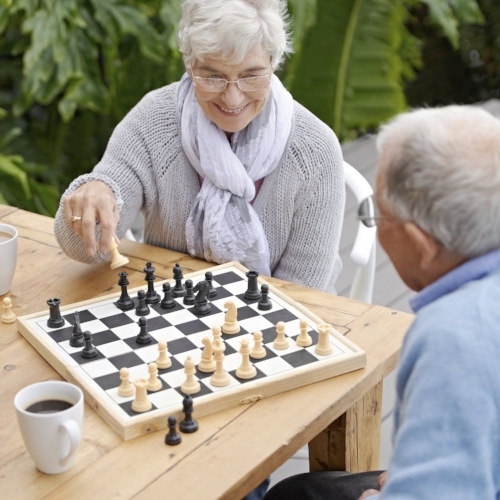 The Carers of Elmbridge group will meet on the fourth Monday of each month at Hersham Sports and Social Club, 128 Hersham Rd, Hersham, KT12 5QL (formerly Hersham Comrades)where carers will be able to enjoy learning new skills by playing games like table tennis, board games and boccia. The group has even found a table tennis coach to improve skills and enable participants to run in house tournaments! If you are an unpaid carer for someone living in Elmbridge and would like to join the group, please go along and join them, everyone is welcome! The club starts on 24th September 2018 and runs from 7.30 - 9.30pm please either telephone Kath on 01932 231109 or email the group – carersofelmbridge@gmail.com for more information.